or time-sensitive information should not be sent through this form. Many life events occur that can happen to anyone; unemployment, health issues, struggling business, maintenance of elderly parents, divorce, and foreclosure. If you are struggling with the burden of unmanageable debt, you are not alone. Due to challenges in the economy, job layoffs, and other situations beyond one’s control, many people have fallen into debt and need RELIEF. In a metropolitan town such as Chicago and its suburbs like Elmhurst, the debt problem is even more acute. Most people ignore the problem because they fear there is no solution. Fear is based on a lack of knowledge or not knowing what to expect. I understand your fears and take the time to explore and explain your options. Not taking action only leads to additional costs and expenses. It does not remove the problem. It is my goal to find a solution to your financial distress. Bankruptcy may be the solution to overcome these challenges and place you in a new financial direction. Bankruptcy provides immediate relief and gives you a second chance. With effective and applicable use of bankruptcy laws, most people are able to preserve their assets and move towards a better financial direction. Millions of people have been able to obtain a fresh start towards a brighter financial future and begin living a STRESS-FREE LIFE! The Law Offices of Nella E. Mariani, P.C can provide you with a variety of solutions to debt-related problems such as foreclosure, repossession, wage garnishments, lien avoidance, utility shut off, driver’s license suspension, judgment, and CREDITOR HARASSMENT! As an experienced bankruptcy attorney, she has helped thousands of individuals stop pending foreclosure sales and vehicle repossession by filing Chapter 13. She has extensive knowledge litigating a broad range of issues that could arise in a bankruptcy, such as motions to lift stay, strip off of liens, and automatic stay violations. Each individual case is analyzed by reviewing the client’s income, expenses, and their financial goals. Since each case is unique, she, as a bankruptcy attorney in Cook County, provides her clients with sufficient information to enable them to determine the best way to proceed. Attorney Nella E. Mariani practices exclusively in bankruptcy, debt-related matters, and bankruptcy litigation. 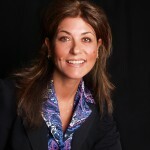 With over a decade of experience as a reputed Chicago bankruptcy lawyer,, she has helped thousands of people throughout the Chicagoland area including DuPage, Will, Kane, Lake, and McHenry counties. If you need to speak to an experienced Illinois bankruptcy lawyer contact The Law Offices of Nella E. Mariani, P.C. to schedule your FREE CONSULTATION. The Law Offices of Nella E. Mariani, P.C. places a strong emphasis on personal service. She works closely with her clients to educate them about bankruptcy law and help them make informed decisions about bankruptcy. She, a well-known Elmhurst bankruptcy lawyer, recognizes that each situation is unique, and her approach is tailored to meet your specific needs. She will personally answer your questions, return your calls, and keep you informed about the status of your case. She handles EVERY aspect of your case. You are treated as a person, not a number. Take the first step to financial recovery; contact the Law Offices of Nella E. Mariani, P.C. to learn more about bankruptcy. You will speak to an experienced Illinois bankruptcy lawyer. Call today to schedule your FREE CONSULTATION. Offices conveniently located to accommodate DuPage, Kane, Lake, Will, and Chicago residents. Contact us at (630) 290-7580. Attorney Nella E. Mariani has more than a decade of experience in bankruptcy, debt relief and bankruptcy litigation. Her practice focuses exclusively in bankruptcy and debt relief matters. She works closely with each client and provides them with a high degree of knowledge, professionalism, and sensitivity. As a Dupage County bankruptcy lawyer, she has already earned recognition for herself. The Law Office of Nella E. Mariani, P.C. We represent clients throughout Cook County and DuPage County, including Chicago and the west suburbs, Bensenville, Oak Park, Cicero, Bloomingdale, Roselle, Maywood, Melrose Park, Bellwood, Berkeley, Hillside, Stone Park, Franklin Park, Villa Park, Schiller Park, Addison, Glendale Heights, Elgin, Streamwood, Bartlett and Elmhurst, Illinois (IL).